Cuadrilla threatens to poison the UK’s water, land and air through fracking. But already, its impact on British society, academia and public institutions can be described as corrosive. 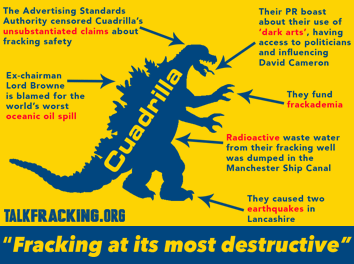 Cuadrilla also has a phenomenally destructive background. Transparency on fossil fuel subsidies has been increasing. Photo by Aristocrats-hat/Flickr. Every year, the world spends billions of dollars subsidizing the production, exploration and use of oil, coal and natural gas. By all accounts, these subsidies don’t make sense for the economy or for the environment. They impose significant burdens on government budgets, in many cases more than is spent on health or education, encourage wasteful use of scarce resources and tend to benefit the rich more than the poor. For example, IMF analysis has shown that on average only 3 percent of gasoline and 7 percent of diesel fuel subsidies reach the poorest 20 percent of households. And arecent GSI study found that removing fossil fuel subsidies in 20 countries between now and 2020 could reduce greenhouse gas emissions by as much as 11 percent. It comes as no surprise to members of REAF, Ribble Estuary Against Fracking, that exploratory drilling company Cuadrilla are to abandon the Becconsall site and remove over 150 monitoring stations in the local area. 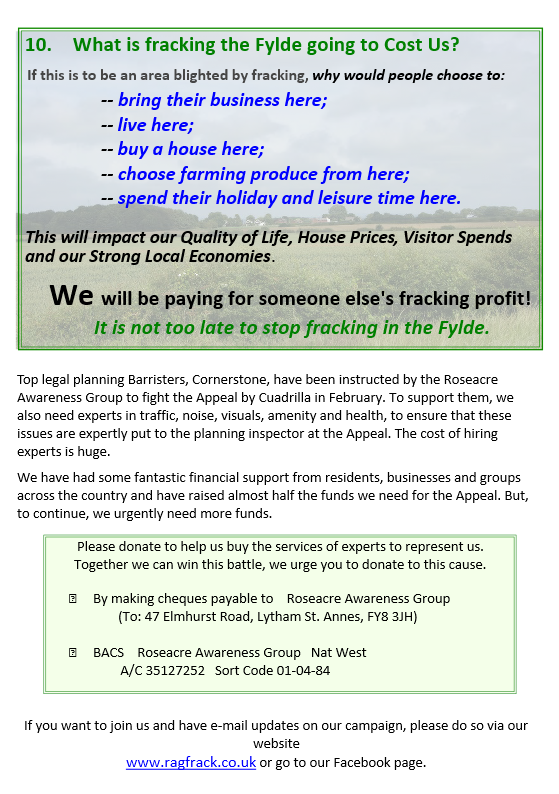 Their failure to comply with time frames and mitigation measures imposed on them by Lancashire County Council has shown their disregard for the planning process and has left locals with many unanswered questions. 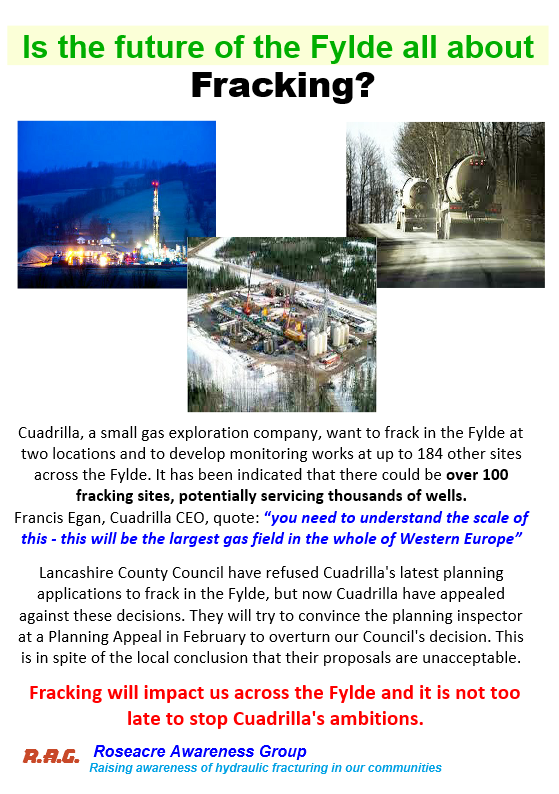 The first application to drill at the site in 2010 slipped through quietly without the need for a committee decision by LCC. Alarm bells soon rang as the 0.99 Hectare site avoided the 1 hectare rule for which an Environmental Impact Assessment would have been compulsory. 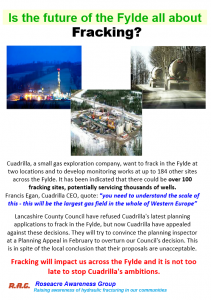 A time extension and fracking application at the Becconsall site followed in 2012 by which time Cuadrilla had been found responsible for causing 50 seismic events through fracking at their Preese Hall Site near Blackpool. The River Ribble Estuary is designated as a RAMSAR wetland site of international importance as it is home to tens of thousands of European protected geese and swans who spend the winter feeding on the mudflats of the Estuary and in the surrounding fields. Situated only 700 metres from the Estuary and within a Biological Heritage Site, the Becconsall well posed a threat to the ongoing success of some of our most important wetland migratory species. 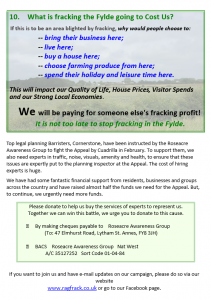 Concerns were raised by Natural England, Friends of the Earth, Lancs County Council Ecologist and a REAF commissioned ecology consultant who conducted an extended phase 1 habitat survey. 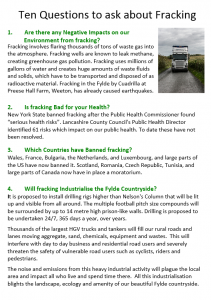 Referencing reports on the failings at Preese Hall and peer reviewed scientific data on the effects of fracking to human health and the environment REAF raised objections to the development of the Becconsall Site. 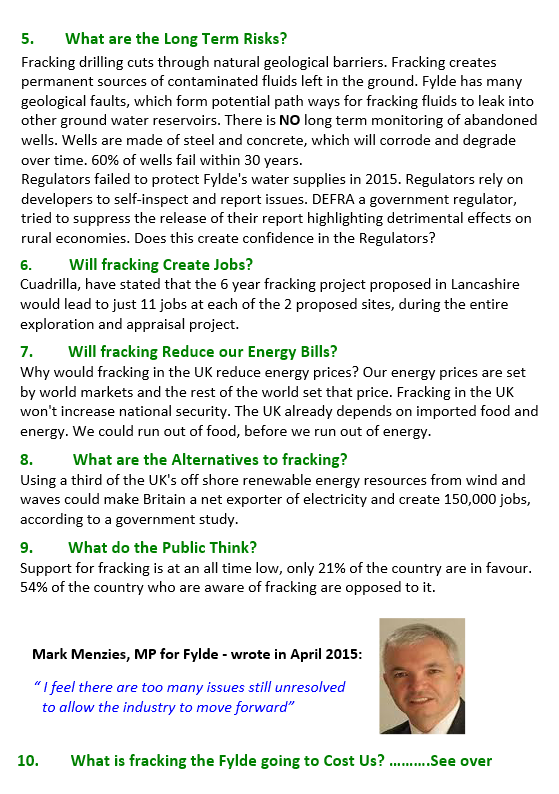 Lancs County Council Development Control Committee gave permission for REAF to present their findings. Immediately after the presentation by REAF members, the applicant withdrew an application which involved hydraulic fracturing of the well. A subsequent application to perforate the well and monitor was passed but the applicant failed to meet conditions and now intends to restore the site next spring back to prime agricultural land. REAF would like to thank all those who have supported us as we continue our work with other communities faced with the dangers of unconventional onshore oil and gas extraction. The Government is attacking rooftop solar. But it’s under pressure to change its mind. You can help ramp up the heat even higher and make sure solar keeps on thriving for years to come. Over the last two days we have been looking at the links between the so-called North West Energy Task Force and Westbourne Communications. We started to look at this when one of the NWETF panellists, Lee Petts, told us that “panelists aren’t involved in the day-to-day mechanics” of running the “task force” and pointed us towards the Morning Star web site which had an article about the links between Westbourne and the NWETF on it. John Ashton was the UK’s Special Representative for Climate Change between 2006 – 2012. 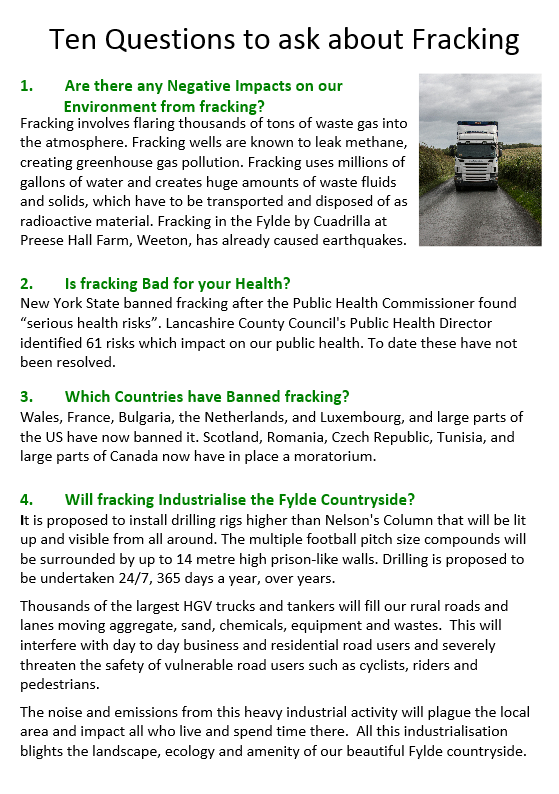 This is an excerpt of a speech he gave at a public rally and joining of hands across the Forth Bridge against unconventional gas extraction in the Forth Estuary and Forth Valley, on 11 October 2015. The British Medical Association, the representative body of doctors in the UK, has voted to end its investments in fossil fuel companies, making it the first health organisation in the world to do so.